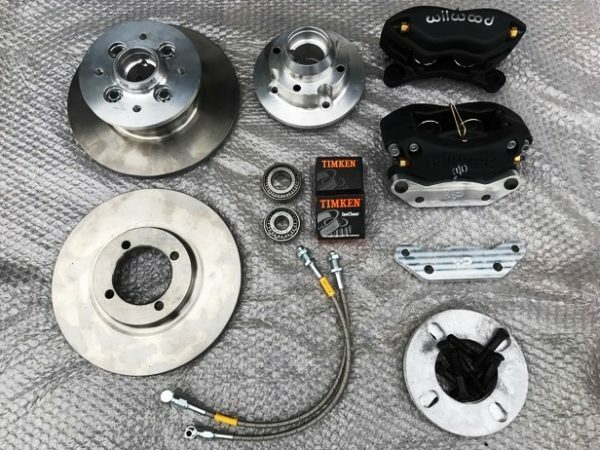 MG Midget and Austin Healey Sprite 9″ front brake conversion kit. Developed for competition, but suitable for road use with correct road pads the PME 9″ brake conversion offer excellent stopping power. The kit includes billet alloy hubs and large discs mated to substantial billet alloy Willwood 4-pot calipers and tapered wheel bearings.